This basic smoked fish spread recipe here uses smoked mackerel, but you can use any smoked fish you prefer, trout, salmon - depending on your budget! 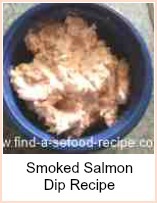 The photo here is smoked salmon. 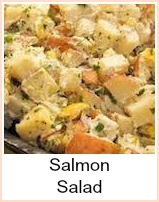 You can get smoked salmon offcuts which are perfect for smoked fish spread recipes as well as smoked salmon pasta sauces and seafood quiche recipes. 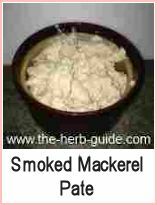 In the UK, smoked mackerel is often in the marked down section, so it's something you can make really cheaply. 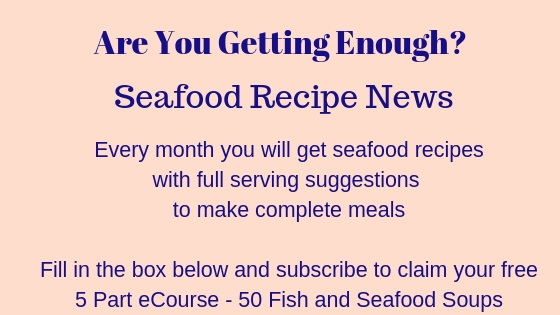 It is a very tasty, quick and simple method of making a fish pate and it makes a great seafood appetizer if you serve it with toast points (triangles). It's also versatile - you could serve a salad, some fresh crusty bread and it would make a good lunch for four people - or one glutton! We really like this recipe in our house and often have it in the fridge so that we can just 'dip in' for a snack, either with toast or crackers. The basic ratio is half the quantity of cream cheese to fish - so 4 oz smoked salmon, 2 oz cream cheese and reduce the horseradish to taste. You can make a Weight Watcher friendly spread by using quark. Start by taking the skin off the fillets and remove all bones. Flake the fish into a food processor - squeeze half the lemon, add the cheese, horseradish sauce and a few twists of black pepper. Process until smooth - you can mix by hand, but it's hard work and results in a much coarser pate. Taste - not too much or there won't be any left for the others - and adjust the seasoning - lemon, horseradish, pepper - you decide. Put the mixture into a bowl, garnish with the lemon and chill in the refrigerator - several hours really, but if you can't wait then just toast your bread and dip in! You could use peppered smoked mackerel or add roughly crushed peppercorns to the dish which would add a little more 'bite'. 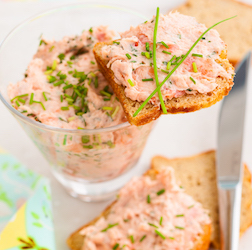 This smoked fish spread recipe makes a great seafood appetizer, a tasty lunch or snack. It's very easy to make and the ingredients can be found in any supermarket.